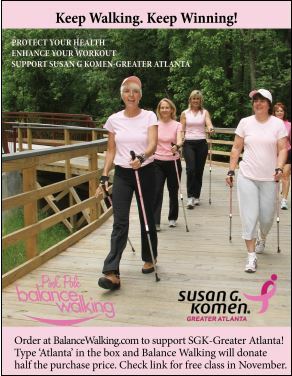 Thank you Balance Walking for bringing this #EasyExercise4Everyone to the USA, and for donating half of the sale to SGK-Greater Atlanta. Every Body Wins When They Walk. Click Here to get started, type the code ‘Atlanta’ to help support SGK-Greater Atlanta. KEEP walking, KEEP winning & KEEP moving, it is the key to staying healthy. 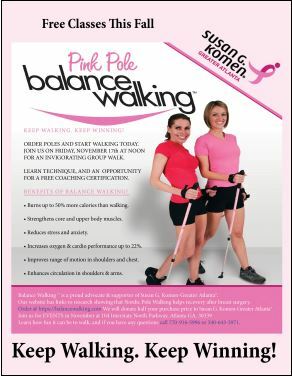 Make it FUN with Balance Walking Nordic Poles. Click here for event on November 17, 2017. We will enjoy a walk together, learn techniques and a free coaching certification class.